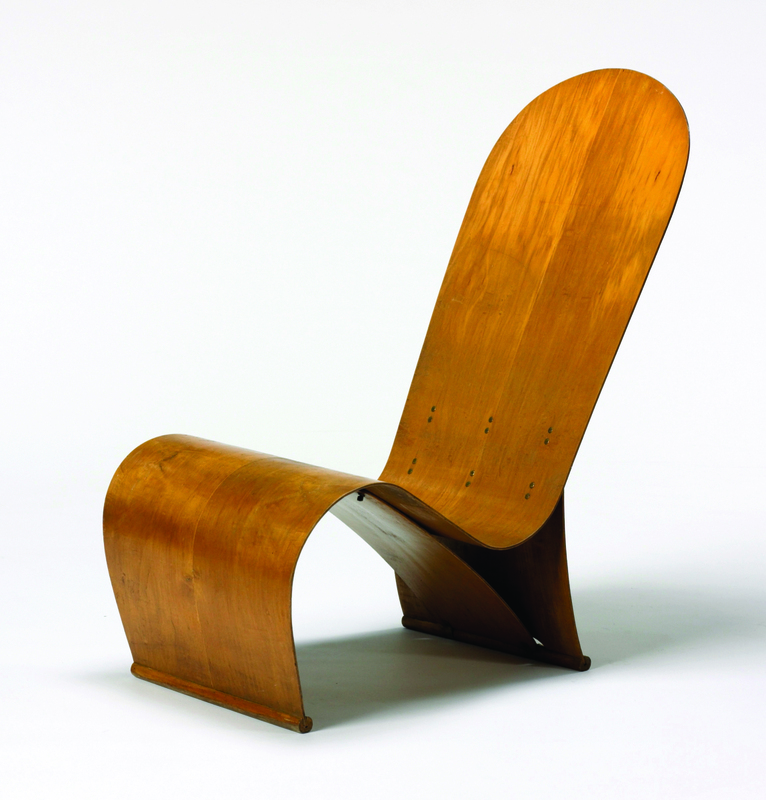 Designed by Frank Gehry (b 1929), manufactured by Easy Edges, Inc. (active 1969–73), Los Angeles. High stool, 1971. DOYLESTOWN, PENN. 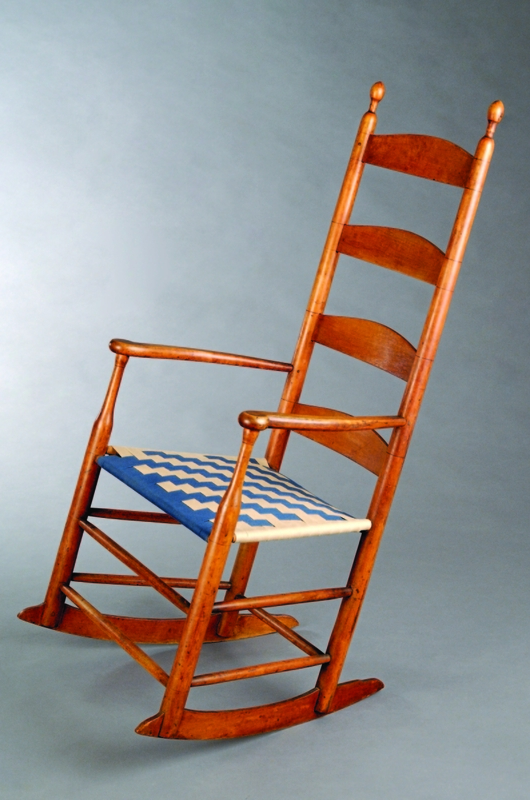 – The James A. Michener Art Museum will present a major exhibition, “The Art of Seating: Two Hundred Years of American Design,” showcasing a comprehensive private collection of iconic and historic chairs reaching from the mid-1800s to today’s Studio Movement. Developed by the Museum of Contemporary Art Jacksonville and organized for tour by International Arts & Artists, Washington, DC, the exhibition will be on view at the Michener from February 9 to May 5. These works of art have compelling stories to tell about our national history, the evolution of American design and incredible artistry and craftsmanship. Most chairs encountered throughout the day define themselves fairly simply – a place at the family table, a comfortable spot with a great view, a chair at our work station, a seat of corporate power. 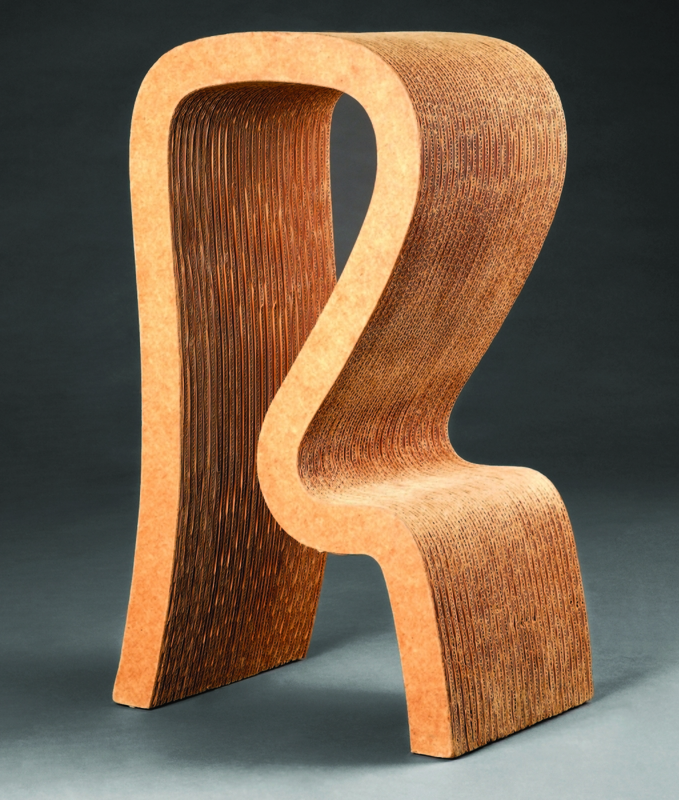 When looking at the more than 40 chairs selected for “The Art of Seating,” however, there is much more to see than simple, functional pieces of furniture. 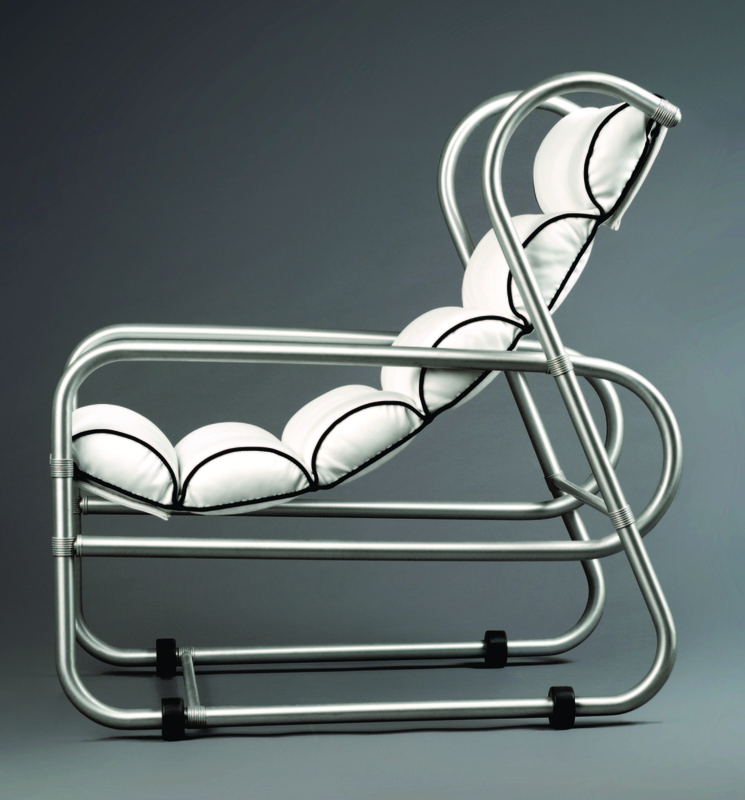 Organized by Ben Thompson, curator at the Museum of Contemporary Art Jacksonville, “The Art of Seating” takes the viewer into the design studio through patent drawings, documented upholstery, artist renderings and multimedia presentations. 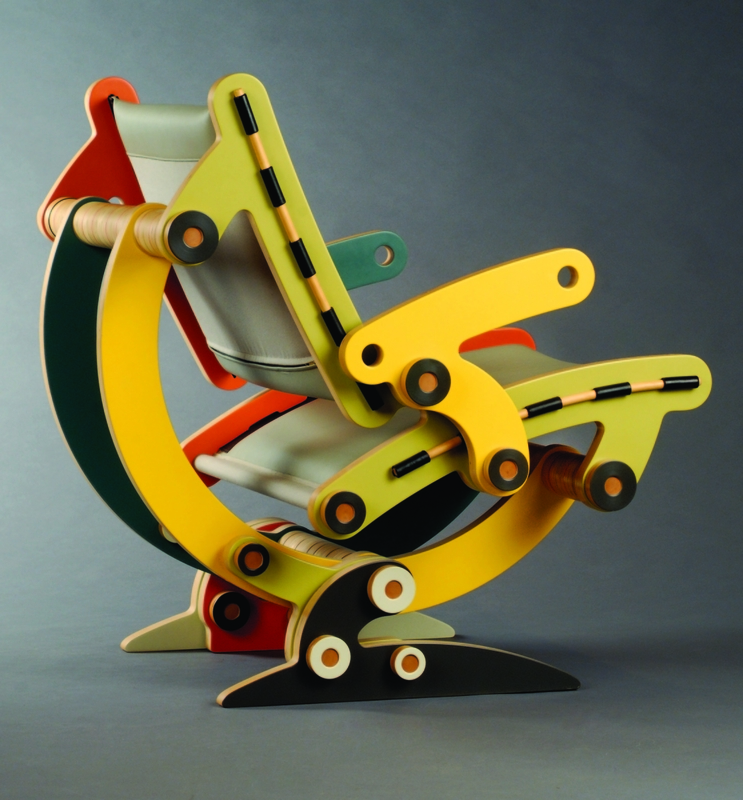 Selections from the Jacobsen Collection of American Art offer a stylistic journey in furniture with showstoppers by John Henry Belter, George Hunzinger, the Herter Brothers, the Stickley Brothers, Frank Lloyd Wright, Charles and Ray Eames, Eero Saarinen, Isamu Noguchi, Frank Gehry and others waiting to be discovered. The exhibition also features contemporary and historic designs produced by such manufacturers as Knoll, Herman Miller and Steelcase. 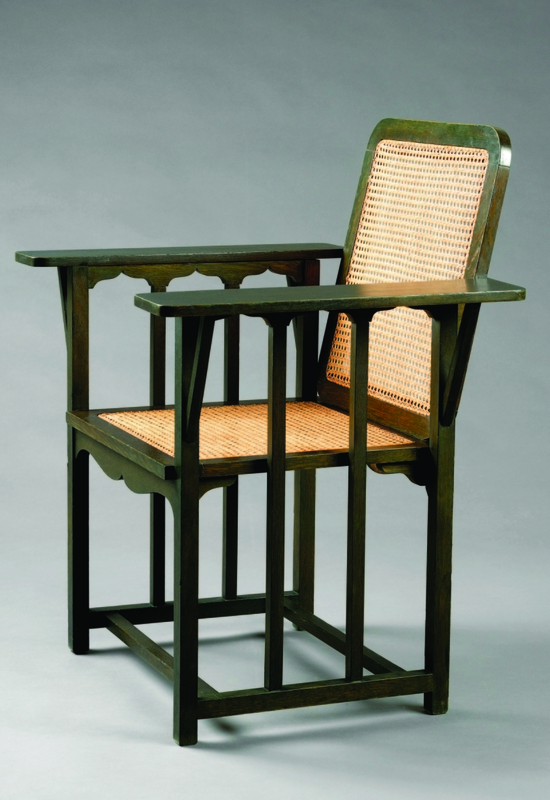 In a related, concurrent exhibition, “Nakashima Looks: Studio Furniture at the Michener,” by guest curator by Mira Nakashima-Yarnall, daughter of internationally renowned woodworker George Nakashima and president of George Nakashima Woodworkers, SA, highlights of the Michener’s longstanding focus on Studio Furniture. On view from March 2 to June 9, “Nakashima Looks” is rooted in the museum’s deep commitment to George Nakashima’s legacy; the Michener has continued to collect and exhibit modern and contemporary craft, including fine examples of Mira Nakashima’s own work alongside those of her father. 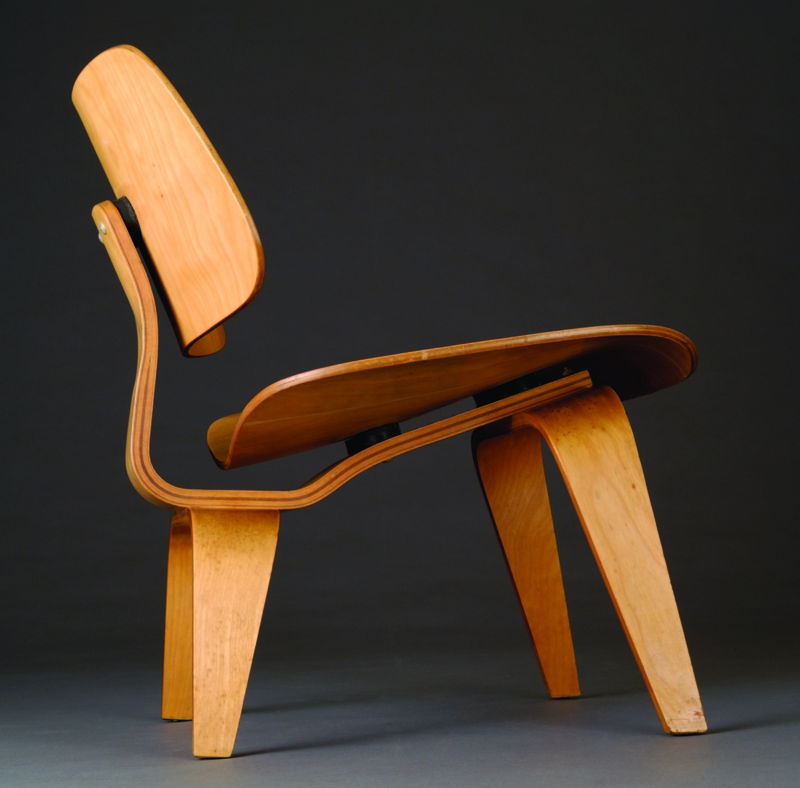 “Nakashima Looks” also provides a window to the museum’s future direction. 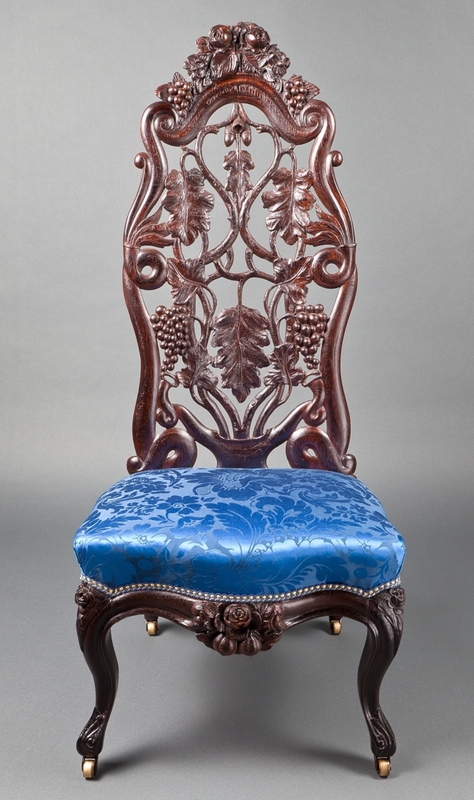 “Presenting two such remarkable exhibitions simultaneously gives the Michener a dynamic platform from which to explore – and expand upon – the role that the Bucks County region holds in the history of American design,” said Kathleen V. Jameson, executive director of the Michener Art Museum. The Michener Art Museum is at 138 South Pine Street. For further information or to see related programing, www.michenerartmuseum.org or 215-340-9800. Unless otherwise noted, all photographs are by Michael Koryta and Andrew VanStyn, director of acquisitions, conservation and photography. 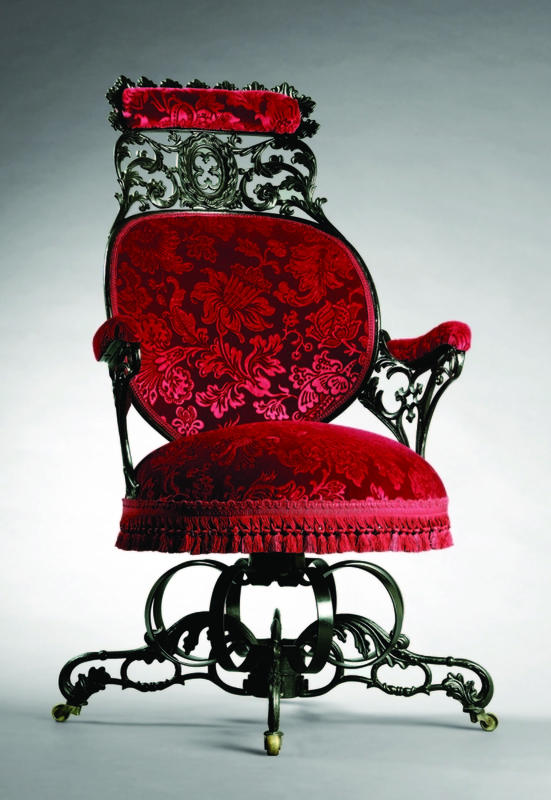 Designed by Thomas E. Warren (active with American Chair Co. 1849–52), manufactured by the American Chair Co. (1829–1858), Troy, N.Y. Centripetal spring arm chair, circa 1850.